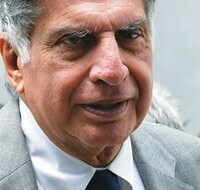 Tata Sons chairman Ratan Tata. "Indian business world seems to thrive in frowning on success.We tend to pull each other down needlessly… Getting 20 business people in a room who do not talk about their own business but take a position on India is difficult… How many collaborations do we have between Indian companies? In other countries businesses support each other." "… an important issue in the recent election was whether we had substituted the crony socialism of the past with crony capitalism, where the rich and the influential are alleged to have received land, natural resources and spectrum in return for payoffs to venal politicians… If there is some truth to these perceptions of crony capitalism, a natural question is why people tolerate it. Why do they vote for the venal politician who perpetuates it?" Raghuram Rajan, Governor, Reserve Bank of India, in his address at the 20th Lalit Doshi Memorial Lecture on August 11, 2014 in Mumbai. Amazon, in its fight with book publishers over e-book pricing, invoked George Orwell's comment on Penguin paperbacks in the 1930s. "The famous author George Orwell came out publicly and said about the new paperback format, if 'publishers had any sense, they would combine against them and suppress them'," wrote Amazon in a letter to readers (http://readersunited. com). "Yes, George Orwell was suggesting collusion." The United Kingdom's The Guardian newspaper and several other websites have produced Orwell's actual quote: "The Penguin books are splendid value for sixpence, so splendid that if other publishers had any sense they would combine against them and suppress them." 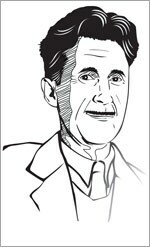 Bill Hamilton, literary executor for the Orwell state, wrote to The New York Times saying Amazon was quoting Orwell's ironic comment out of context. "It doesn't say much for Amazon's regard for truth, or its powers of literary understanding." 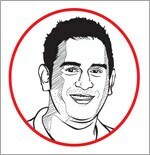 Indian cricket team's captain M.S. Dhoni, when the side had lost the Test series to England 1-3 after leading 1-0, was asked if some Indian players might want to miss the IPL to spend time improving their Test match skills. His retort: "Don't be so jealous of IPL." Manjul Bhargava became the first person of Indian origin to win the Fields Medal, also known as the Nobel Prize of mathematics, except that it is awarded only once in four years and only to persons who are no more than 40. India celebrated, with the news reports focusing more on Bhargava's love of Sanskrit poetry and the tabla, and not so much on his Canadian-American nationality, his birth in Canada, or his life in the US. Maryam Mirzakhani became the first woman to win the Fields Medal. She is an Iranian living in the US. 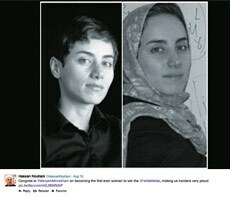 Iranian President Hassan Rouhani tweeted his pride with two photos of Mirzakhani, in one of which her head is not covered by a hijaab. In her country, women face fines or jail for not covering their head. >> Global rating agency Standard & Poor's has said that it is evaluating policies of the Narendra Modi-led government for a review of India's sovereign rating, which is now pegged at the lowest investment grade. 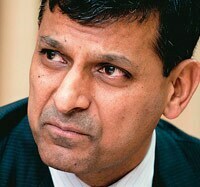 In order to promote growth and investment, Finance Minister Arun Jaitley had announced a host of measures in his Budget. 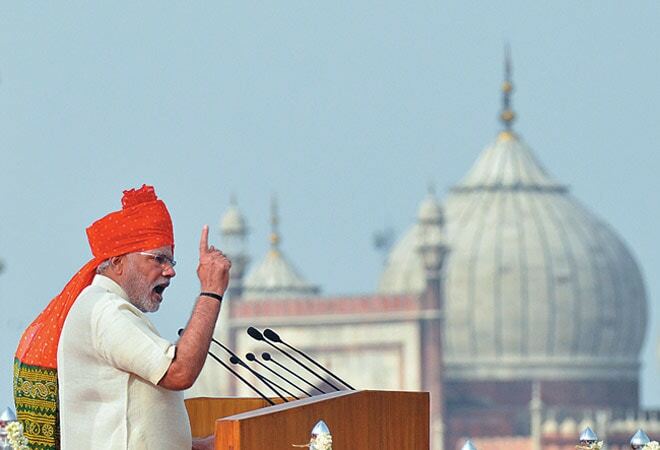 >> Soon after Prime Minister Modi's Independence Day speech, where he asked India Inc to help improve sanitation facilities in the country, especially for girl students, Tata Consultancy Services and Bharti Enterprises announced plans to invest Rs 100 crore each for building more toilets as part of their corporte social responsibility initiatives. >> Sajjan Jindal-promoted JSW Steel is acquiring sponge iron maker Welspun Maxsteel for Rs 1,000 crore. This is the third big-ticket M&A deal in recent times. Earlier, Adani Power bought Lanco Infratech's 1,200 MW Udupi power plant for more than Rs 6,000 crore and Reliance Power inked a pact to acquire three hydel projects of Jaypee Group. >>HDFC Bank, India's second-largest private lender by assets, topped a list of India's 50 most valuable brands with a brand value of $9.4 billion. The firstever BrandZ ranking was commissioned by WPP Plc, the world's largest communications services group. The No. 2 brand, Bharti Airtel, is the fourth-largest mobile phone operator in the world with nearly 300 million customers, while the country's largest commercial bank, State Bank of India, is at No. 3. >> The World Bank's private-sector financing arm, IFC, has launched $2.5 billion, rupee-denominated bonds in the Indian market to fund infrastructure projects, after raising $1 billion in offshore bonds for the sector last year. >> India's wholesale price inflation eased to a five-month low in July, helped by a moderation in fuel costs. Adding to inflationary worries are fruit and vegetable prices as well as a weak currency and lingering uncertainties over global crude prices. >> Investment into Indian shares through participatory notes in July dropped to Rs 2.08 lakh crore after hitting a more than six-year high in the preceding month.  A failure to respond to climate changes could lead to a loss of about 8.7 per cent in India's gross domestic product by 2100, the Asian Development Bank said. >> The government has cancelled approval to 27 special economic zones, including Emaar MGF Land and SAIL Salem SEZ. It has given more time to 18 others to execute their projects. >>With increasing number of people preferring to shop online, the retail category penetration has increased to 65 per cent and has grown to 53.4 million visitors a month, an overall growth of 15 per cent annually. Apparel, health, home furnishings, fragrances and cosmetics are the fastest growing categories, according to an Assocham report. >> The automobile sector, which faced slowdown in demand in the last two years, has witnessed 85 per cent dip in foreign direct investment to only $73 million during April-May this fiscal year. During the same period a year ago, the sector received $478 million. >> India, the fastest-growing smartphone market in Asia-Pacific, is experiencing slower year-on-year growth at 84 per cent compared to the triple-digit expansion seen in the first quarter. During the April-June quarter, smartphone sales in India grew to 18.42 million units from 10.02 million units a year earlier, IDC said. >> The government has ordered GAIL India to cut natural gas supplies of nonpriority sectors like steel and petrochemicals to meet full requirement of CNG retailers like Indraprastha Gas. >> China has slapped $201 million fine on 12 Japanese auto parts suppliers accusing them of conniving to raise prices. They include Hitachi, Denso, Aisan, Mitsubishi Electric, Mitsuba, Yazaki, Furukawa, Sumitomo and bearing makers Nachi, NSK, JTEKT and NTN. In the backdrop of investigations, several auto firms have slashed the prices of their auto parts. Those who faced fines included Mercedes-Benz and Audi. >> A spokesman for the Sultan of Brunei has dismissed a report that he had made a bid for New York's Plaza Hotel, Dream Hotel and London's Grosvenor House hotel, currently owned by Sahara Group. Its chief, Subrata Roy, has been negotiating a sale of the hotels from a makeshift office in Tihar Jail. He wants to raise $1.6 billion for bail. >> Former Microsoft Corp. chief executive officer Steve Ballmer, new owner of the Los Angeles Clippers basketball team, has left the company's board in order to spend more time on his new project. Ballmer is the biggest individual shareholder in Microsoft, owning a four per cent stake worth about $15 billion. >> India ranks poorly in employee-employer relations standing at 61st position, which is far behind countries like Mexico (44), Thailand (37) and the Philippines (34), according to a report by Morgan Stanley.